This plot contains the estimated 3-hour Planetary K-Index. 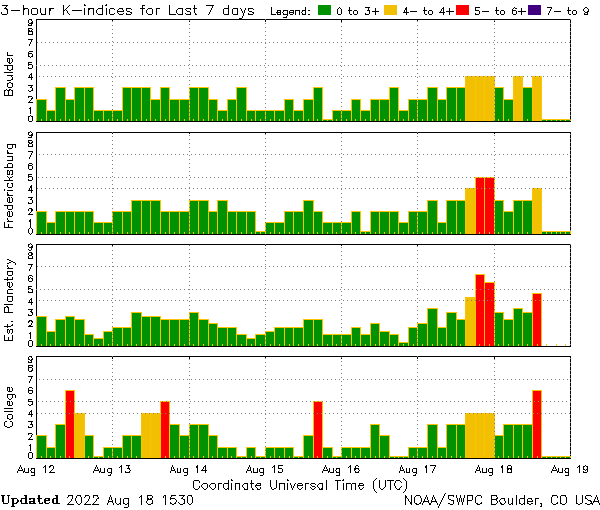 K-indices of 5 or greater indicate storm-level geomagnetic activity around earth. Below is a one week K-indice view from four magnetometer reporting stations. Below is the 15 minute Wing-Kp Geomagnetic Activity Index model. Click HERE for more information.